The unlikely team of misfits known as the Guardians of the Galaxy is coming back to our solar system with a new movie, and DST is marking the occasion with a new assortment of Minimates based on the film! 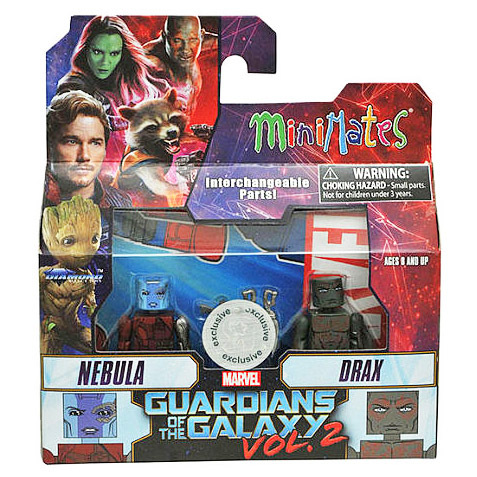 This new 2-pack pairs the unstoppable brawler Drax, with Nebula, daughter of Thanos! Each Minimate features up to 14 points of articulation and fully interchangeable parts, and each 2-pack comes in a full-color window box. A Diamond Select Toys release! 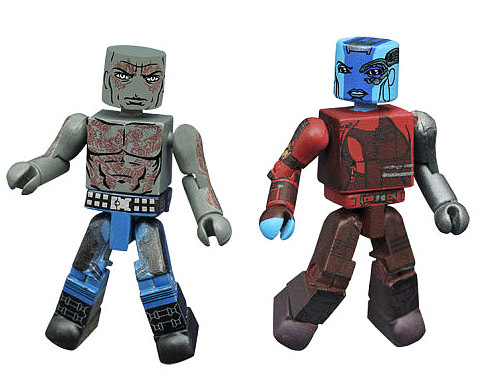 "I think both of these Minimates look much better than their GOTG 1 versions. I am glad Drax doesn't have a big chest piece this time - it didn't work well in the first series."